Although I have been wearing a black belt since the 16th of November, I've only been wearing a plain black belt that I bought online. I knew that the club had ordered me a nice embroidered belt because Graeme asked me what I wanted written on it. however a belt like this takes a little time to make so I've had to wait until now to receive and be presented with it. 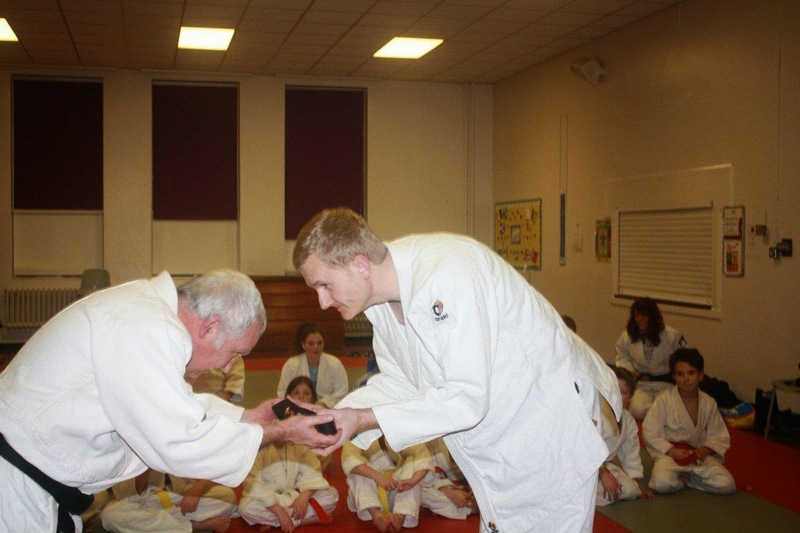 I blame Mr Miyogi for not bowing properly when receiving the belt from Graeme. "Always look eye"
A firm handshake is certainly more preferable to the belt whippings some of my BJJ friends receive when being awarded with their new belts. Tying my belt in front of the whole club, including the parents of the kids, meant I did a rush job and therefore my name and the kanji for Judo is round the wrong way. A nice club photo, something we don't very often do. I just wanted to add a few thank you's for those who have helped me on my Judo Journey so far. Peter Leach and Stuart Mcdougall were responsible for coaching me through my early grades and without them I wouldn't have stayed with the club. Oliver Bradley was the best Uke I ever had and gave me encouragement and also taught me lots. 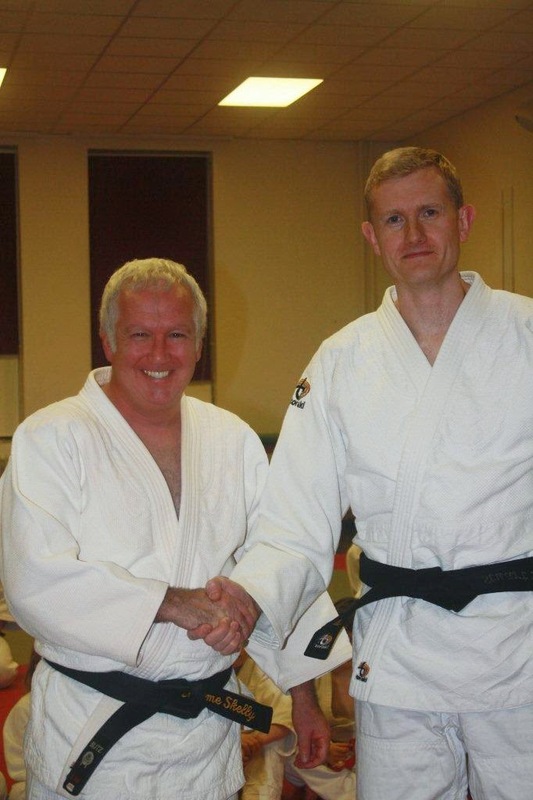 He also followed me on my numerous club visits to Yoshin Ryu and my many BJJ excursions. 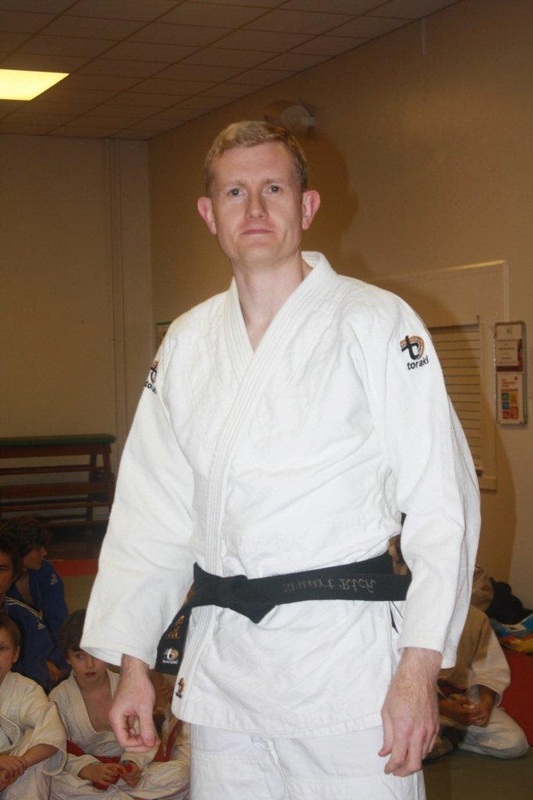 Stewart Park helped keep the club running with Stuart McDougall and taught some old school hard Judo. It was a real shame that he had to give up coaching. All the coaches at Yoshin Ryu, you know who you are (Neil, Tim et all). 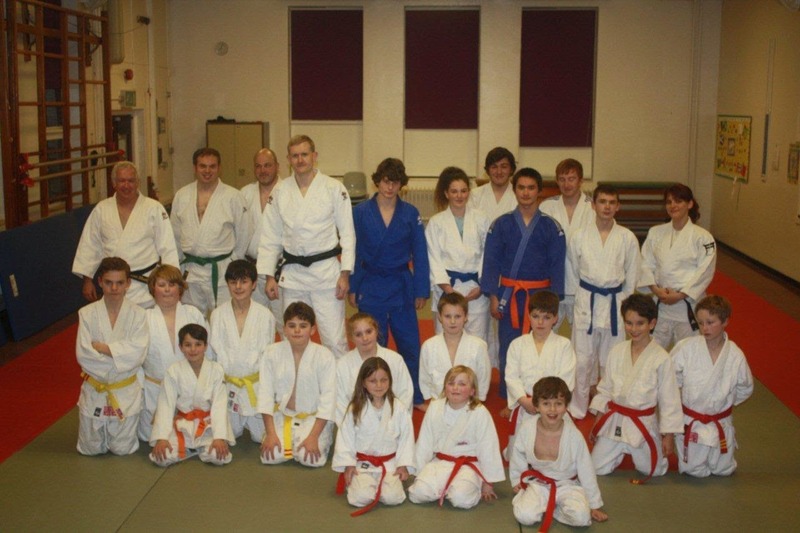 Even though I was not a member of Yoshin Ryu they always treated me as one of their own and gave me some excellent advice and coaching, not to mention a few bruises. Pete at Witley for giving me some great advice just before my dan grading contest at High Wycombe "just do your Judo Stuart"
Lastly Graeme for believing in me and making me believe in myself. I wouldn't be a black belt today if it wasn't for him. And there we have it. My Oscar speech. 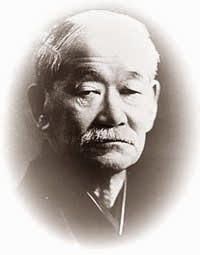 I wonder who i'll be thanking when I get my 2nd dan! The karate belt is a way to describe a graduate of a field where a practitioner's level is often marked by the color of the belt. The black belt is commonly the highest belt color used and denotes a degree of competence. While the belt remains black, stripes or other insignia may be added to denote seniority, in some arts, very senior grades will wear differently colored belts. I purchased one belt for my brother through online from WKC Martial Arts Supplies.